Well my time in The Netherlands is nearly over, so I guess I should actually tell you about some of the interesting things I’ve seen. It’s been a struggle to find the time because I’ve actually been visiting many different places around the country (on top of other meetings/activities) – I seem to have spent many hours on trains! Most of the time I’ve been based in Enschede, but I’ll leave discussion of that city until later after I’ve taken a few more last-minute photos. A couple of weeks back I visited the city of Utrecht. 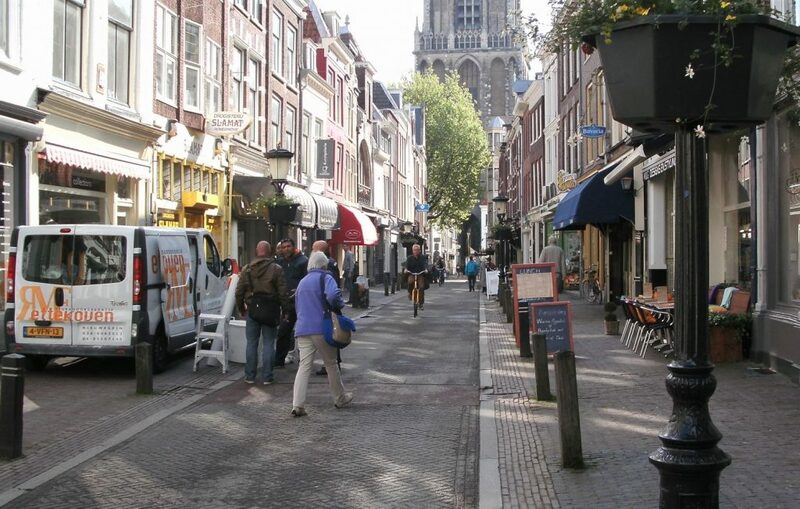 Utrecht is The Netherlands’ fourth biggest city, similar in size to Christchurch (slightly larger greater metro area) but of course much older, with some buildings dating back over 1000 years. Like anywhere else in The Netherlands, biking features highly in local transport, with people on bikes (and motor scooters, which can use many of the same facilities) everywhere. 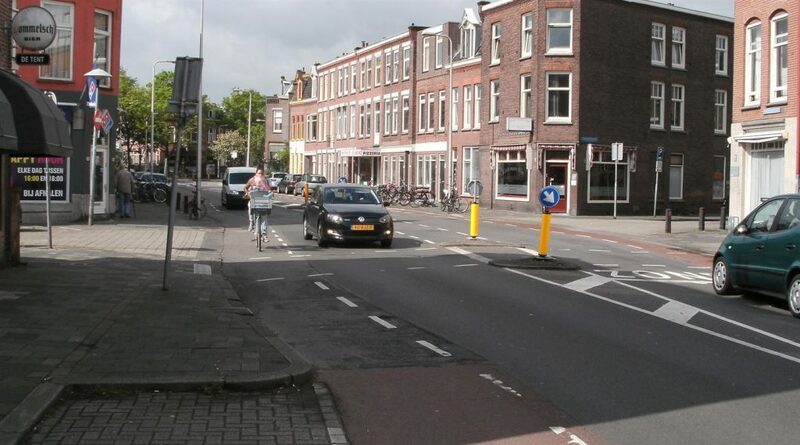 Utrecht is notable for creating the first car-free city centre zone in modern Netherlands, 50 years ago in 1965. It was an experiment watched by others around the country with great interest. Originally it was only implemented on Saturday afternoons (a popular shopping time), but such was the success that other times were introduced, and in a couple of years it was made permanent. 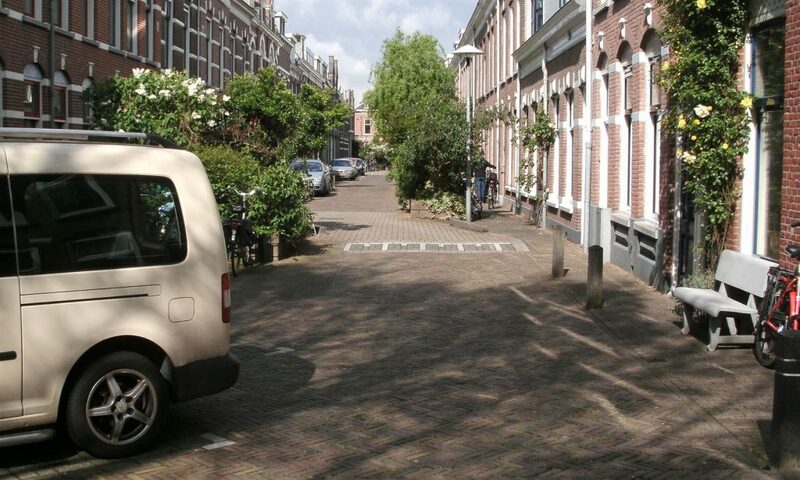 Today, pretty much every Dutch city has a central area only available for pedestrians and cyclists (although some parts are only for walking). 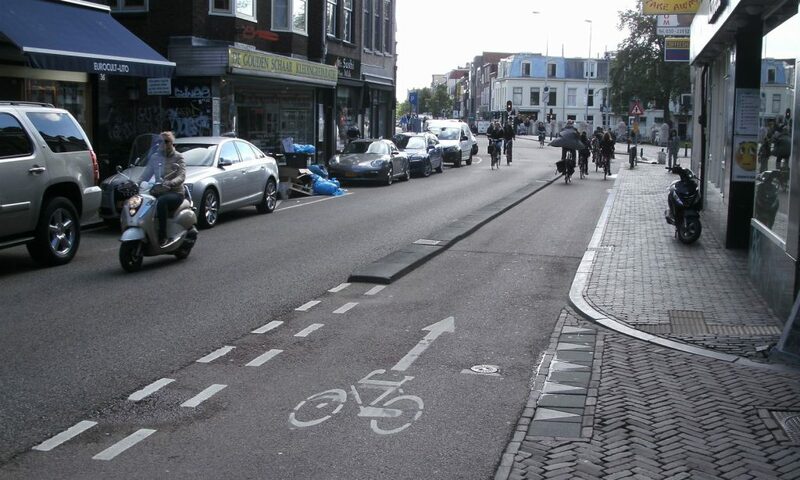 Another first nationally for Utrecht was the creation of the first Dutch “bicycle street” or “fiets-straat”, in 1996. 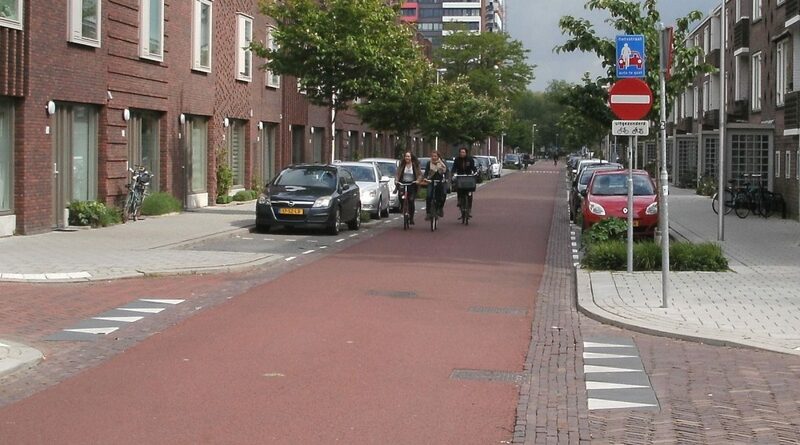 These are traffic-calmed streets that give priority over to bikes, with cars only allowed as “guests”. Actually, apparently the design of the first one wasn’t great and they pulled it out, but the newer ones seem to be working better. 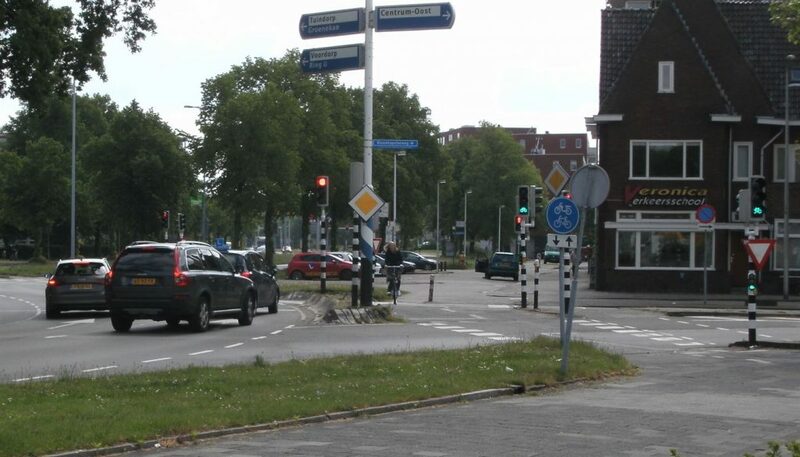 Arterial streets invariably provide some kind of protected cycleway, with separate signal controls at the major intersections too. It can make for some slightly complex signal phasing to give everyone their turn, but most riders don’t seem to mind. 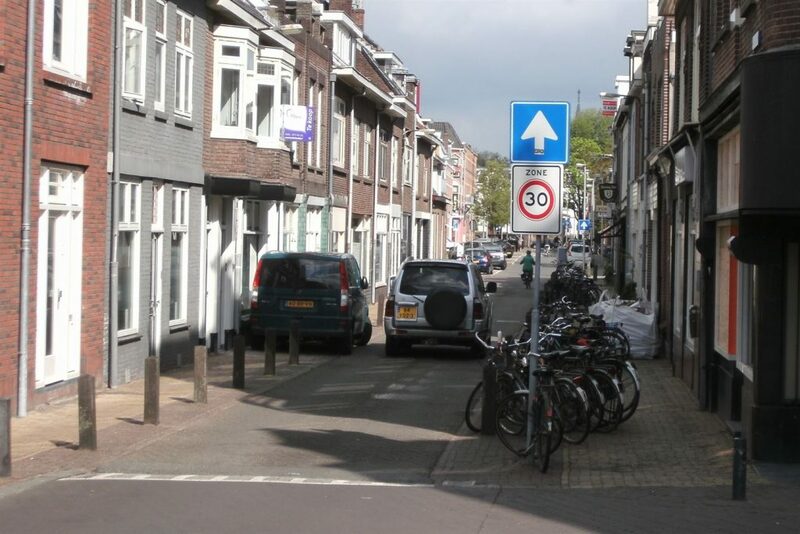 On local streets, most by default have a 30km/h speed limit and are generally designed such that it is very hard to exceed that speed anyway. 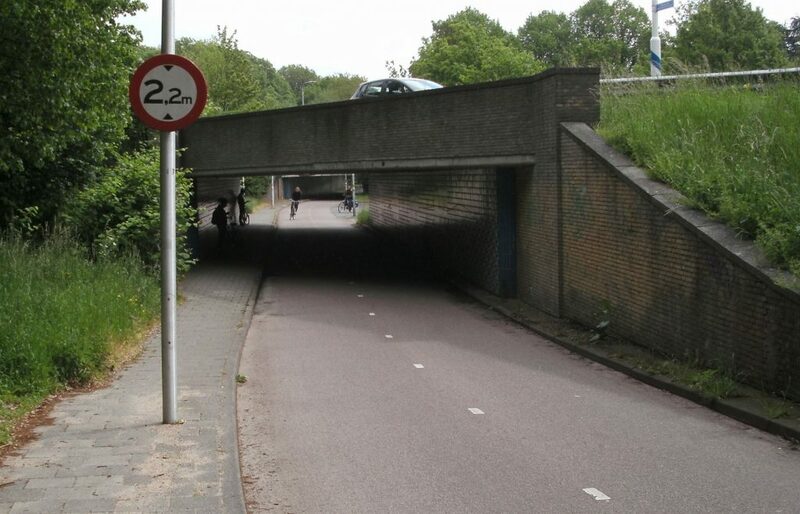 That makes it easy to cycle here without any special cycle facilities. 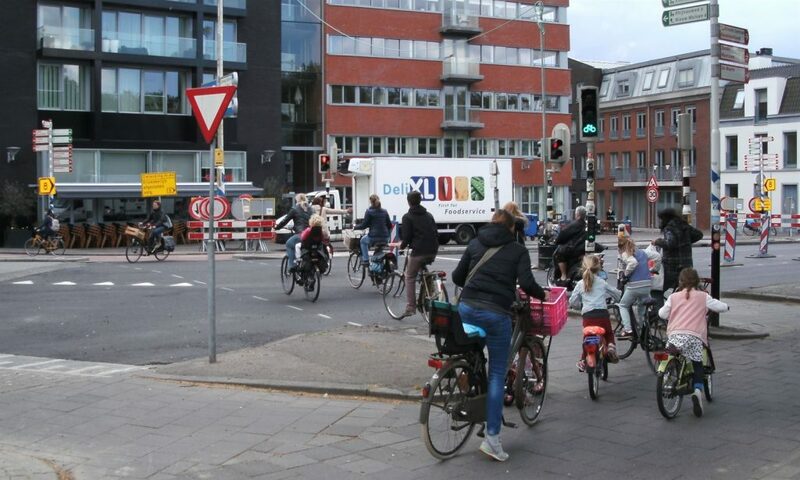 About one third of journeys in Utrecht are made by bike, slightly more than car trips. 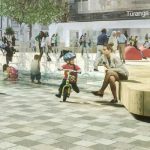 That many bikes require a lot of parking and currently Utrecht are building what they plan to be the world’s largest bike parking station, near the railway station, to hold 12,500 bikes. Elsewhere in the city, the demand is equally huge; invariably you find bikes parked everywhere they can. 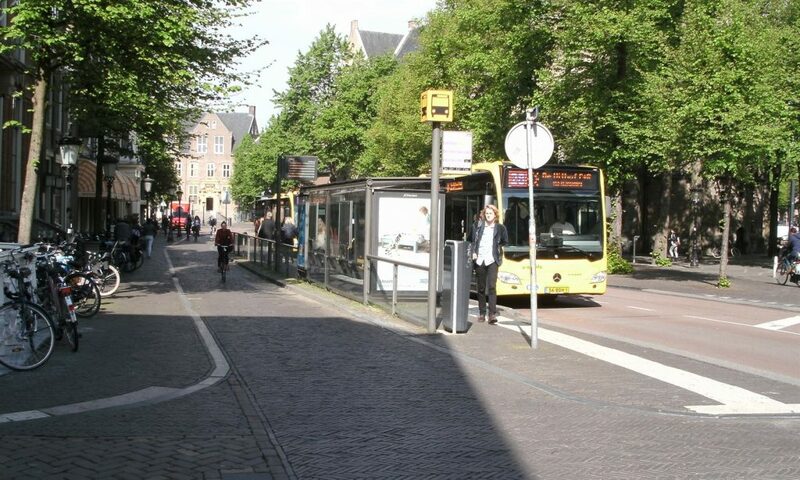 I guess overall the description that I think best sums up cities like Utrecht is “comprehensive” – generally they leave little behind in terms of providing for cycling. 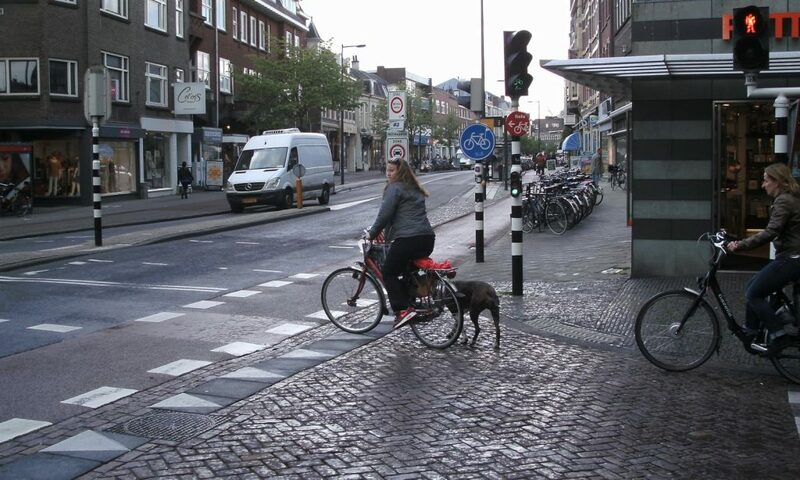 Sure, there are bits that are not current best-practice standard and areas where operationally things seem a little dodgy (anywhere with lots of pedestrians and cyclists is always a challenge for a start!). But you certainly get the sense of a complete network for cycling rather than just unconnected pieces. 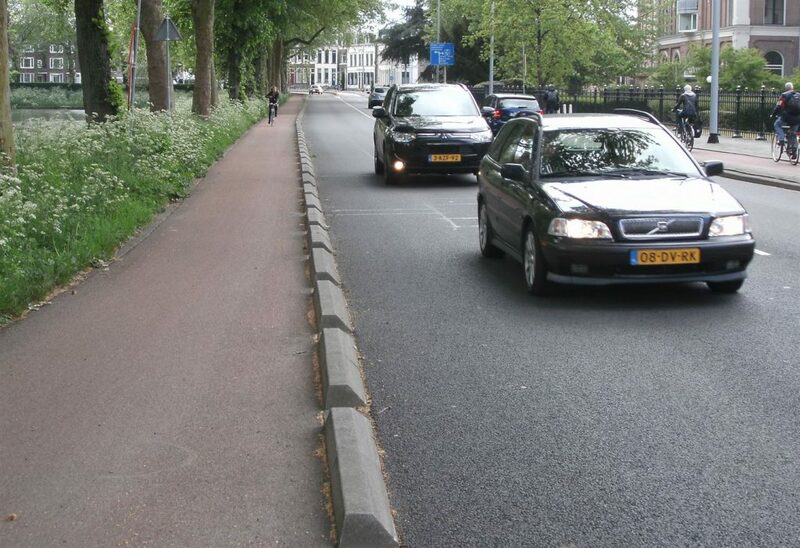 What do you think of Utrecht’s cycleways? Ah if only, unfortunately we have to a transport lobby that thinks they own the roads and a government that has no foresight. really interesting, thanks for that, they seem to have good public transport also. Cool! Thanks Glen. Tweeting that to CAN account, hope that’s OK with you. Enjoy Nantes. Thanks Glen! This is one of the best cycling blogs I’ve seen. Impressive. Very impressive. 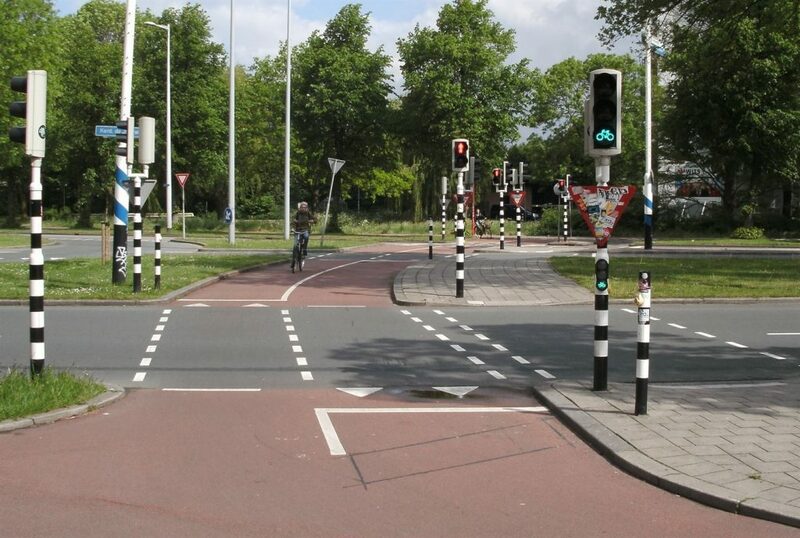 I really like the detail shown in the photos and the engineering perspective you show (“Roundabouts, Signals, Separated cycleway behind a bus stop, etc, etc”). Your text and explanations complement your photos well. 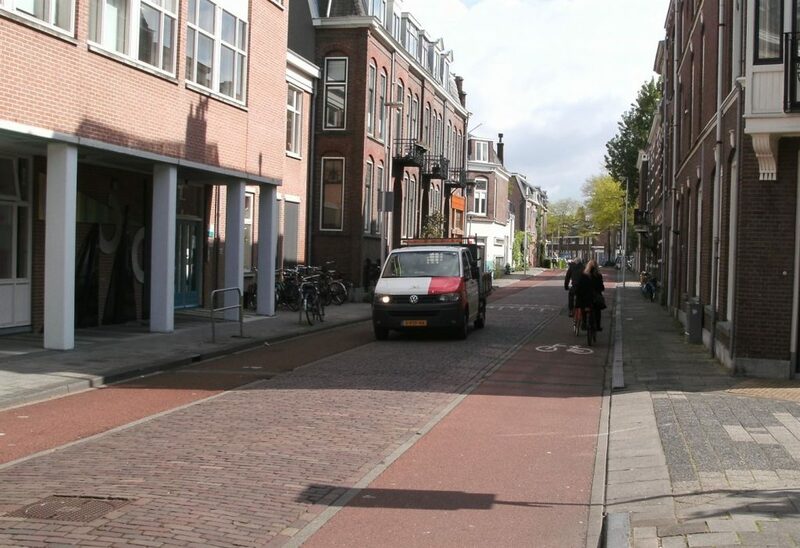 Hey, I learned something: that Utrecht had the first car-free city centre zone in modern Netherlands. Back in 1965. Good stuff. I’m going to put your blog on Twitter and hopefully everybody reads it.